Todays marketing and branding strategies must involve website promotion if they are to be comprehensive and effective. But with the immense number of businesses, ranging from two-bit operations to multibillion dollar corporations, presenting websites in the online world, how do you make your companys voice heard? Dynamic Digital Advertising (DDA) provides the keyword research services for Internet marketing that can either retrofit your current website or become an important component of a new custom website design. Keyword research identifies the phrases that your potential customers are using to find the products and services offered by your company as well as your direct competitors. If youre ready to increase the scope of your Internet marketing campaign or refine your online branding strategies, call DDA now at (215) 355  6442. Dynamic Digital Advertising recognizes that intensive keyword research is critical to the success of search engine marketing and website promotion campaigns. Read on to learn how keyword research can enhance your companys e-marketing and branding strategy. Marketing with the right keywords is actually accurately targeting both search engines and potential buyers at the same time. Organic, natural, and ethical search engine optimization is integrated by DDA into a new websites design or into an existing websites underlying code and visible content. By using keywords that are already being used by potential customers to find products or services like those offered by your company, your corporate website ranks on the first pages of the major search engines and meets the needs of searchers in local, national, or international areas. Keyword research and search engine marketing lead to good search engine rankings. Novice website designers or web copywriters may assume that cramming as many keywords as possible into website code and content leads to excellent search engine rankings. Not true. Search engines have a vested interest in finding websites with natural and well-written keyword-rich content, and searchers that land on pages with poorly-written, keyword-crammed copy immediately hit their browsers back buttons because nonsensical content makes it nearly impossible for them to tell whether your company provides what theyre looking for. Dynamic Digital Advertising maintains an in-house search engine optimization copywriting department with many full time writers who are experienced in establishing a balance between the research deemed keywords and the content. Visitors who come to DDAs custom-designed websites find well-written and complete pages of interesting, informative content that contain keywords skillfully infused into the marketing copy. The result is superior search engine optimization copywriting that also appeals to the needs of the reader (a.k.a. potential customer). Some clients opt for pay-per-click (PPC) programs wherein they pay for search engine real estate for a specific keyword. Every time that word is searched, their corporate links appears on side or top bars on the returned results screen. They pay a fixed amount of money for each visitor that clicks on the paid link to enter their website. While pay-per-click Internet marketing is not nearly as effective as natural search engine marketing, Dynamic Digital Advertising maintains short-term pay-per-click management programs that help companies increase the cost-effectiveness of their paid keyword advertising campaigns. PPC also provides valuable data on what keywords will be useful for natural website promotion and Internet marketing if new, organically-search engine-optimized websites are to be built. Refine your brand and bolster your Internet marketing campaign: Contact Dynamic Digital Advertising today. Dynamic Digital Advertising serves clients in every geographic region of the United States, from Pennsylvania to California. 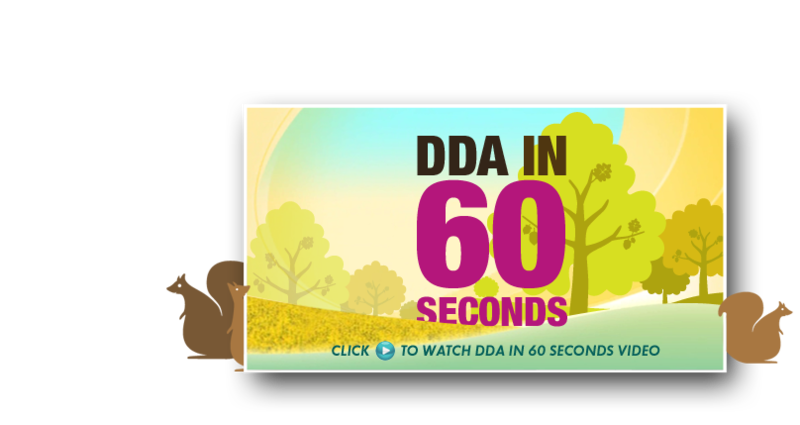 No matter where your company is based or who your company targets, DDA has the digital infrastructure necessary for cross-country B2B communication that you can use to begin benefiting from DDAs services today. Some of our core competencies include professional custom website design, state-of-the-art programming, graphic design services, and much more. Dynamic Digital Advertising has integrated keyword research services into its professional website design and development process. As a premiere custom website design company, Dynamic Digital Advertising understands the importance of comprehensive keyword research in building a website capable of ranking on the top pages of leading search engines such as Google, Yahoo, and MSN. Also included in the professional website design process, which encompasses fourteen distinct steps, is ethical search engine optimization, web copywriting, secure website hosting, and much more. Dynamic Digital Advertising is more than a leader in Internet marketing and website promotion: DDA also produces high-end media for print, video, and large format advertising through graphic design services. As a major graphic design firm, Dynamic Digital Advertising can provide nearly any service, from trade show graphic design to virtual reality, aesthetic web design, 3D animation, and much more. These images reformat companies corporate identities and capture the imaginations as well as the purchasing power of members of each companys target markets.